What Is Probate and Why Does It Get a Bad Rap? Why Do I Hear Bad Things About Probate? Probate is much maligned. To hear some folks talk, having your estate subject to probate is worse than dying. What's all the fuss about? Probate is a title proceeding. If a person dies owning property, the question arises – Who is the next rightful owner? Probate is the procedure by which the ownership is determined. the decedent did not know what he/she was doing when they signed the will. The law calls this lack of testamentary capacity. the decedent was under undue influence at the time he/she signed the will. For example, someone was pressuring and pushing them into a decision, and the decedent was susceptible to the influence. the will was improperly executed. For example, a will may not have enough witnesses, or the witnesses may be disqualified persons. 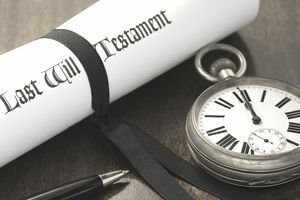 If the decedent did not leave a will, or if the decedent’s will is found to be invalid, then the next rightful owner(s) of the decedent’s property are determined by state statute. A decedent who dies without a will dies intestate. The state’s intestacy statute determines the decedent’s heirs. In general, the heirs of a decedent are first, children or more remote issue, then parents, and then siblings and their issue. Also, a surviving spouse is entitled to a share, usually about 1/3 of the estate, or more or less, depending on which state was the decedent’s domicile. There is a common misconception that a surviving spouse inherits the entire deceased spouse’s property. That is often not the case where there are children. A will or the intestacy statute only operates on property that was solely owned by the decedent. If property was held jointly with the surviving spouse, it passes immediately on death to the surviving joint owner. Contrary to popular belief, if you die without a will, your property does not go to the state. The probate proceeding is still necessary to determine who are the heirs, and in what proportion they take the decedent’s property. Creditors are also given the opportunity to come forward with their claims. So, What’s So Terrible About Probate? Nothing. It is a fairly simple and logical process. Probate gets its bad reputation from the professional fees that are charged. The executor or administrator and any professionals, such as attorneys and accountants, who are engaged to assist with the estate settlement process are to be compensated. The duties of the executor and advisors go far beyond the probate process, including the filing and payment of federal estate taxes, state estate and inheritance tax, and so on. The executor or administrator and attorney are, of course, entitled to be compensated for their work on behalf of the estate. It's common in this area for executors, administrators and attorneys to compute their fee for services as a percentage of the assets included in the estate, say five percent, or perhaps less. The problem with this approach to fees is that it does not always bear a reasonable relationship to the work and responsibility involved. High fees are the source of most of the horror stories one hears about probate. The procedure itself is not expensive; it is the professional fees charged that are sometimes excessive. The answer to this is to be an educated consumer. When planning your estate and if you are the executor or administrator of an estate, you need to make sure that the compensation arrangements that you enter into with professionals are fair and reasonable. There is no question that the services are valuable and deserve to be compensated. The question is, how much? Be an educated consumer of legal services. What Are the Responsibilities of a Power of Attorney After a Death? What Happened to My Inheritance? What Can Delay the Probate Process?